REFUND/CANCELLATION POLICY: A valid credit card or debit card is required to guarantee and pay for your reservation. There will be a $25 cancellation fee for all parties or events canceled after payment is received. NO REFUND in the event of reservation being canceled within 14 days of your event. We will make every effort to postpone your event, with no penalty; to another date should cancellation be necessary. TRAVEL SURCHARGE: See our Service Area page for coverage areas. BAD WEATHER: HillBilly Fun’s video game trailer was designed for all types of weather conditions. The theater is insulated and climate controlled with heat and air conditioning. 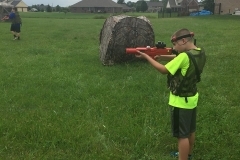 Laser Tag can be played indoors or out. 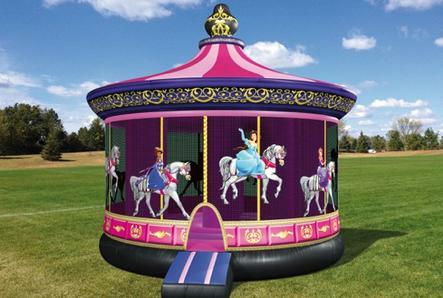 Our inflatable rentals are designed to tolerate moderate winds and rain. There may be occasions when the weather does not want to cooperate with your scheduled party. In the event of severe weather (lightning, very high winds, flooding and/or extremely heavy rains, snow or ice) we may (and reserve the right to) reschedule your service to guarantee the safety of you, your guests, our staff and equipment. If the threat of these storms threatens your party and you are aware in advance (pending or anticipated snow storm, tropical storm or hurricane) please contact us to begin the rescheduling. SUPERVISED CHILDREN: HillBilly Fun does require a parent or responsible adult to be present inside or just outside of the video game trailer at all times. Guests ages 16 and under require a parent or guardian be on property and within contact of the game coach should a need to contact them arise. ALCOHOL/DRUGS/SMOKING: You may serve alcohol at your event or party; however, we reserve the right to refuse, cancel or cut short any party or booking when alcohol is being served. Drugs of any sort will not be tolerated in or around the HillBilly Fun equipment. We ask that you do not consume alcohol nor use profanity in or around HillBilly Fun equipment. sustained on the clients property or their designated location. All liability for damages or injuries is the sole responsibility of the client and/or host. FOOD/DRINK: HillBilly Fun does not allow any food or drinks into the video game theater or inflatable. Please have your guests consume them outside of the equipment prior to entering. 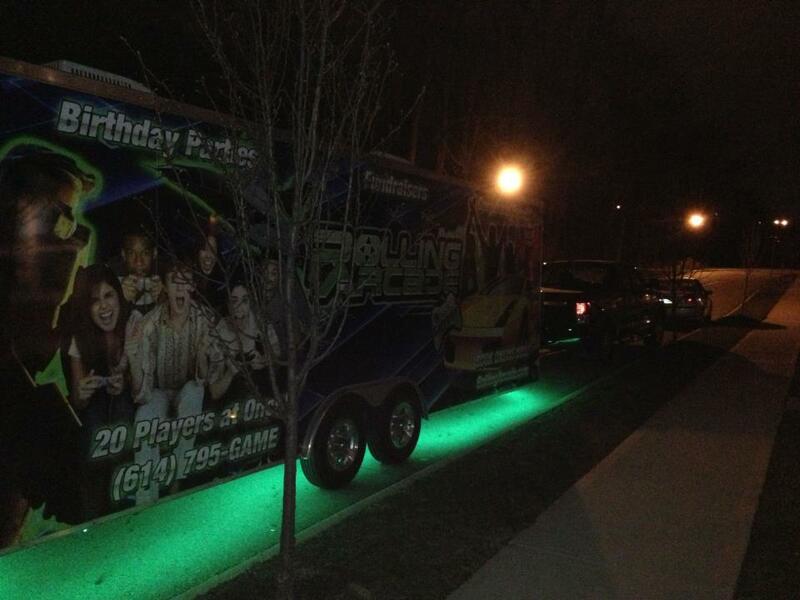 PICTURES: While your party is in effect the Game Coach may be taking pictures of the party from inside the trailer. These photos may be posted on our Facebook page and/or web site you may copy them to your files. If you do not want our Game Coach taking these pictures or posting them on the Fan Page and/or web site please notify us via Email prior to the party. This is a service we provide to our guests so they can be sure to capture their party as it happens. INVITATIONS: We will mail all of your invitations to the address you provided as the billing address of your credit card. If you prefer to make other arrangements please contact us. Invitations will be mailed upon receipt of payment. 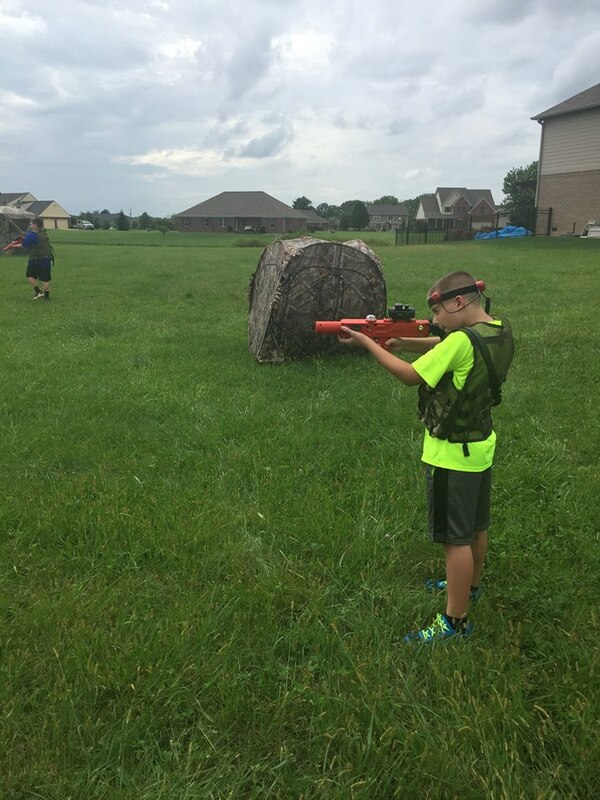 All participants in any HillBilly Fun event or activity must have a signed “hold harmless” waiver prior to participation. Minors (under 18) must have the waiver signed by a parent or responsible guardian. Waiver can be downloaded here. 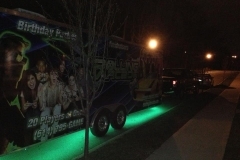 OUR GAME TRUCK/TRAILER: When the truck pulls up, we will try to park in the most level & flat area or logical spot to accommodate your party. Sometimes, we park in your neighborhood street, so you might want to let your neighbors know (in case they may object) or let us know if you have a preferred spot for us. We might also have to block a driveway. **Please keep in mind that our Game Coach will not park anywhere that may cause a danger to persons, property or equipment. Our truck and trailer combination is very long and we will need a minimum of 55 feet of space to park. Additionally our Game Coach will never disconnect the truck from the trailer at a party/event without prior approval nor park off of a hardened surface. 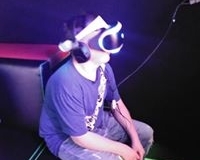 VIDEO GAME RATINGS: HillBilly Fun will not play any “M” rated or higher game in the video game theater without a request from the client prior to the party/event or adult approval at the time of the event. 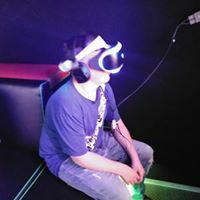 If you wish to have an “M” rated game or higher at your party/event please contact us, indicating the game you prefer or let the Game Coach know as soon as you can after he gets there. It is also recommended that all clients email us with their game requests.